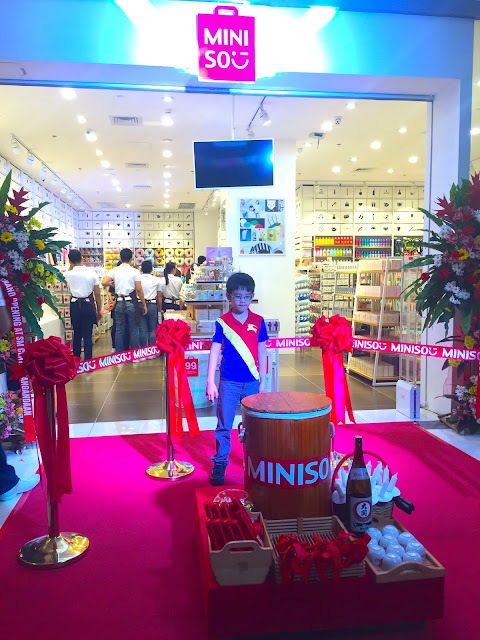 Hosting was so much fun, for the opening of Miniso SM Sangandaan! I feel (MINI)SO special and (MINI)SO blessed as I got the honour of hosting once again for MINISO Japanese Designer Brand, this time at SM Center Sangandaan. 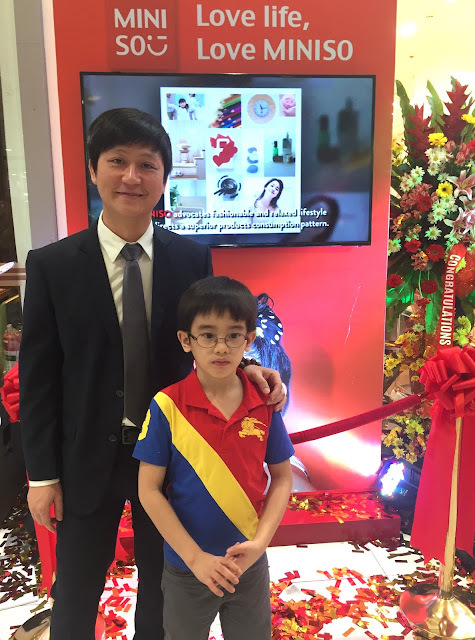 A few days ago, I had the pleasure of being master of ceremonies for SM City Baliwag opening. 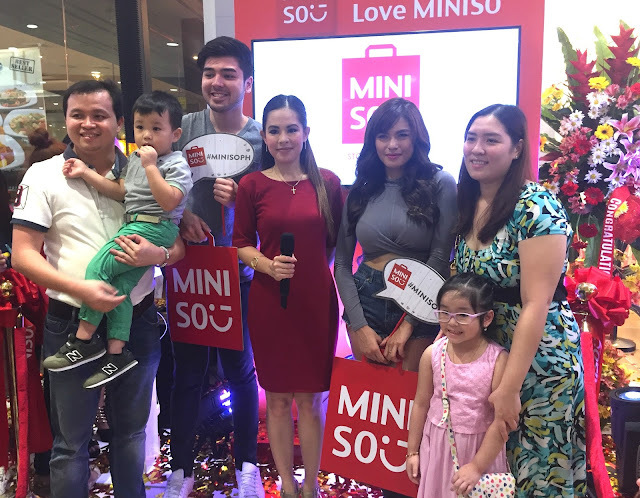 We can revisit this wonderful time by reading about it right here: Marylaine Viernes hosts the inauguration of MINISO SM City Baliwag! And here I was too, leading the ribbon cutting ceremony... watch! 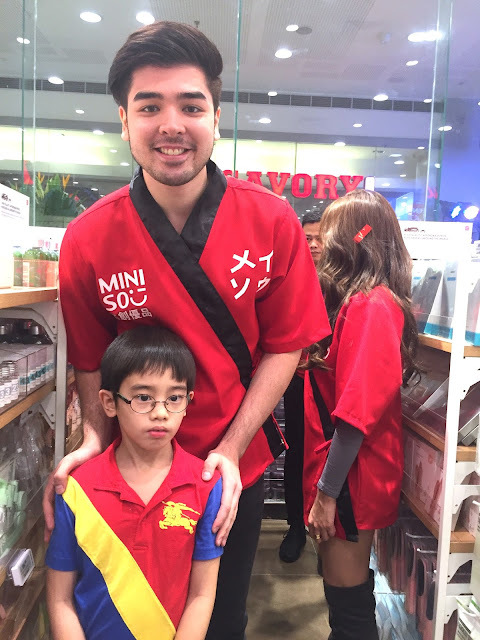 And here he was, shopping with the tall and handsome, Andre Paras! How adorable are these three??? Aren't they (MINI)SO cute?!? 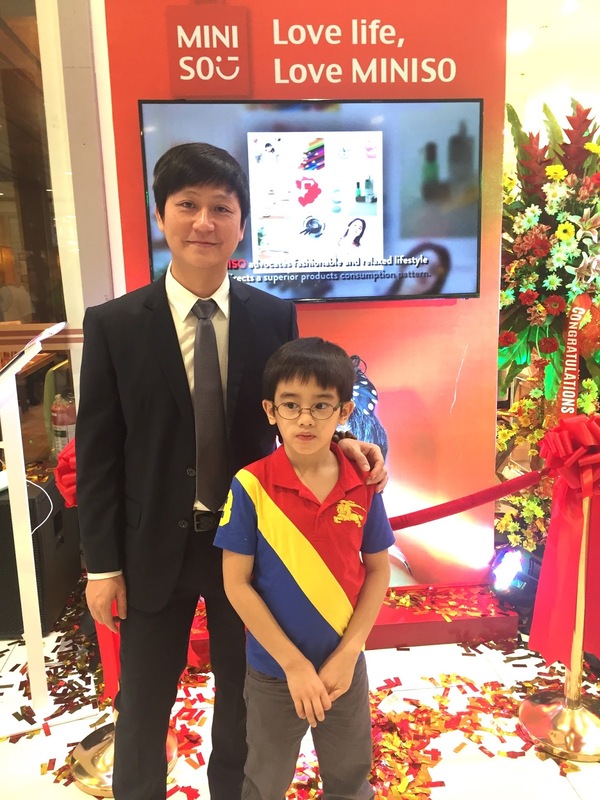 And of course, I too had to take a photo with Mr. Michael Hong; such an honor to be their master of ceremonies for the second time in a row, for SM Center Sangandaan! But here's the most special guest of the day for me... I am so happy that he came along as he too got to experience this phenomenal affair! Before I end my post, I would like to share my finds for the day, which were mostly 'essentials'. First, I now only entrust my skin to Miniso's superb facial washes; and second, I am crazy about the foot socks, they stay in place. I think I have more than 10 pairs already! And lastly I also adore the seamless undies from Miniso; top quality material at an unbelievably low price. Where else should I go now for my essentials, but the Miniso store nearest me? I say this all the time and I won't tire saying it: I love Minisomuch! 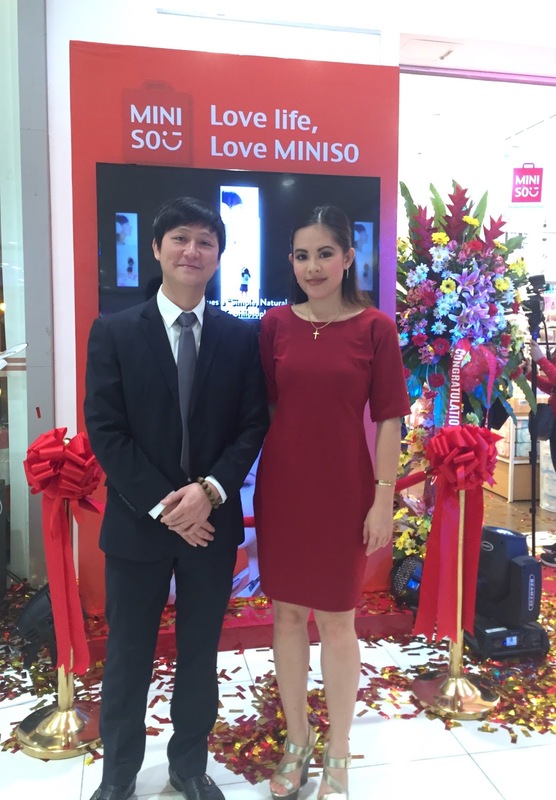 Thanks for visiting my blog and reading all about my Miniso SM Sangandaan store opening adventure; please make sure you also visit a Miniso store near you! 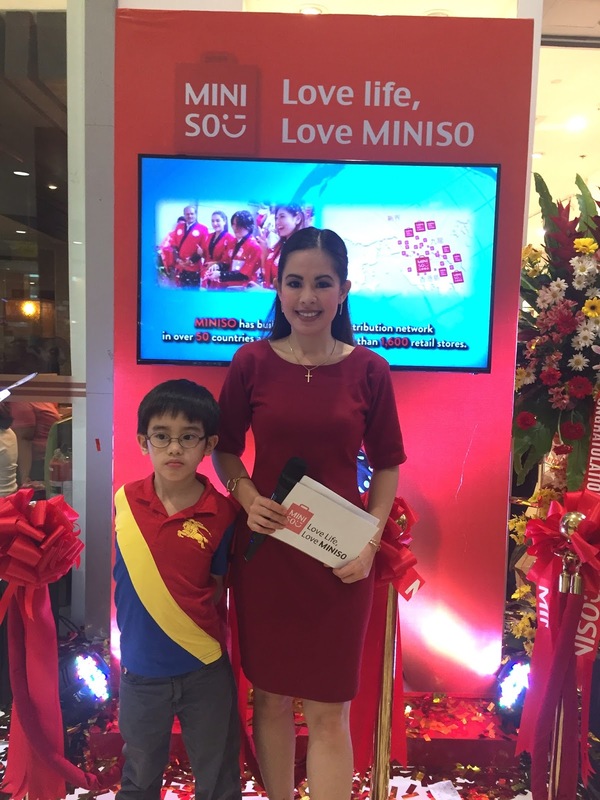 Plus, don't forget to share your photos and videos with the hashtag, #MINISOPH today!